The CBD is buzzing. Even two years ago that could not be said with confidence and the fear was it may never be said again. But those fears are officially unfounded. Sure, there are some large holes to still be filled, and a few spaces and broken facades to be decided on and reinvigorated. And, while some of the city’s most iconic buildings sit in ruin with many gone forever, all but the most pessimistic can take heart that some have been and are being restored, with some beautiful new buildings being erected to replace them. 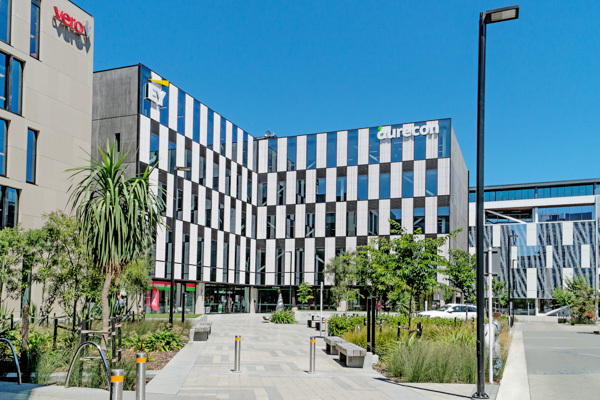 In October, Turanga officially opened; five floors of knowledge, cutting edge digital technology, modern design features and displays of art and culture. The bus interchange on Colombo Street has already become an important feature of the new cityscape. Stylish and user friendly, as the city has come alive around it, it has become the central hub it was intended to be. 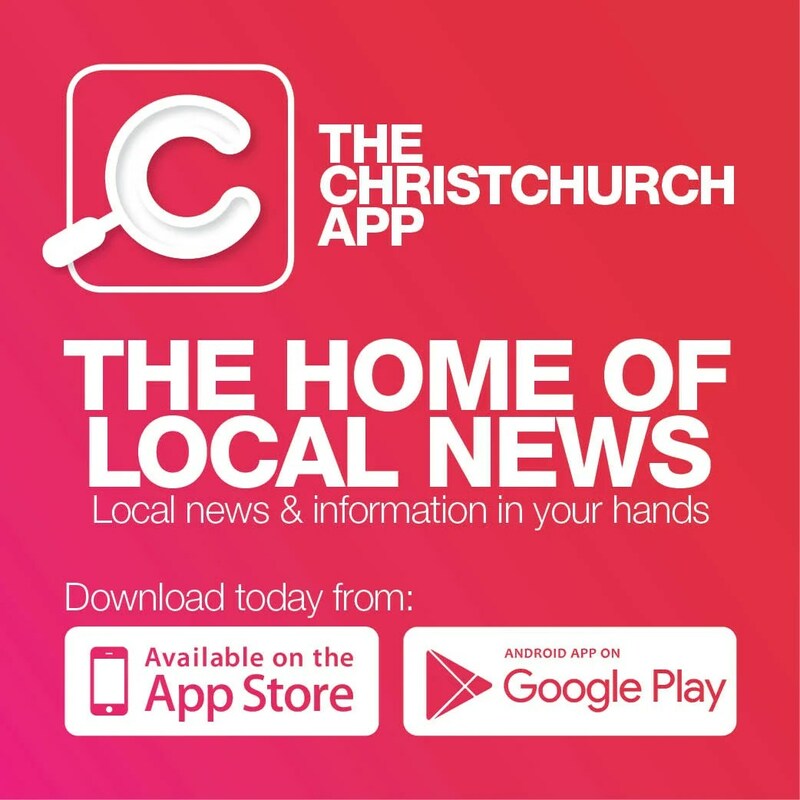 As more retail outlets, cafes, restaurants, and nightlife venues open, and with some very high profile projects scheduled to open in the next few years, the already buzzing city is set to erupt! With so many changes, however, navigating the city can be tricky. If you venture into The Crossing – a “diverse yet intimate, one hectare precinct of heritage facades… enticing laneways and open public spaces” and, of course, shops, shops and more shops – be sure to take some breadcrumbs because getting lost is a real possibility. It is however, a pretty nice place to be lost in for a couple of hours. Plymouth Lane is a retail space, conveniently located under a multi-storey parking building with a huge cycle lock-up area and individual lockers. At the river end of Cashel Street there are cafés and eateries, including a Black & White Coffee Cartel, a Metromart and The General Store, popular with tourists and locals, for gifts and homewares. If you have driven or walked along any of the main city routes and wondered what is in that shiny new building, you are not alone. Naming rights offers some indication, but more often than not, there are gems inside that may not be so obvious. 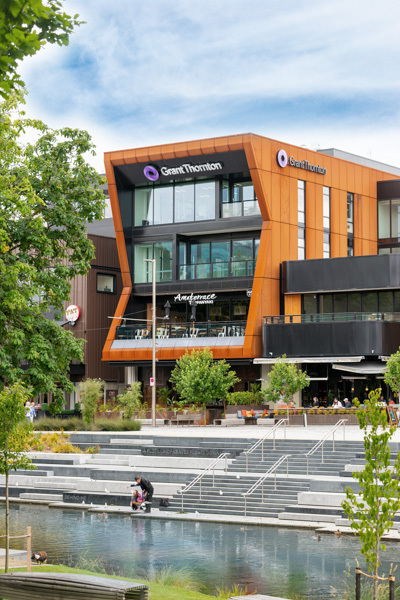 For example, Grant Thornton House on Oxford Terrace is not only the striking new home of the global accounting giant, it also houses Amaterrace Teppanyaki Japanese Steak House and, on the street level, the newly opened (early Jan) Chiwahwah Mexican Cantina and Bar. Across the river is 93 Cambridge Terrace, a four-storey black-glass, nondescript building called Iwikau. Inside are Aurecon and EY. On the ground floor, West End Pharmacy, West End Expressmart, and West End Stories Café. But Iwikau’s surprise lies on the opposite side of the building, invisible from the busy thoroughfare. It is Ngā Mara a Te Wera, The Gardens of Te Wera. Te Wera was a Ngāi Tahu warrior chief and had a long association with the area that came also to be occupied by the King Edward Barracks. It is a beautiful, quiet, shared seating space that respects its deep Maori and European histories. You can read more about it on the storyboard in the garden.